By now you may have heard the news that the first NYC avocado-centric restaurant hit Brooklyn earlier this year. 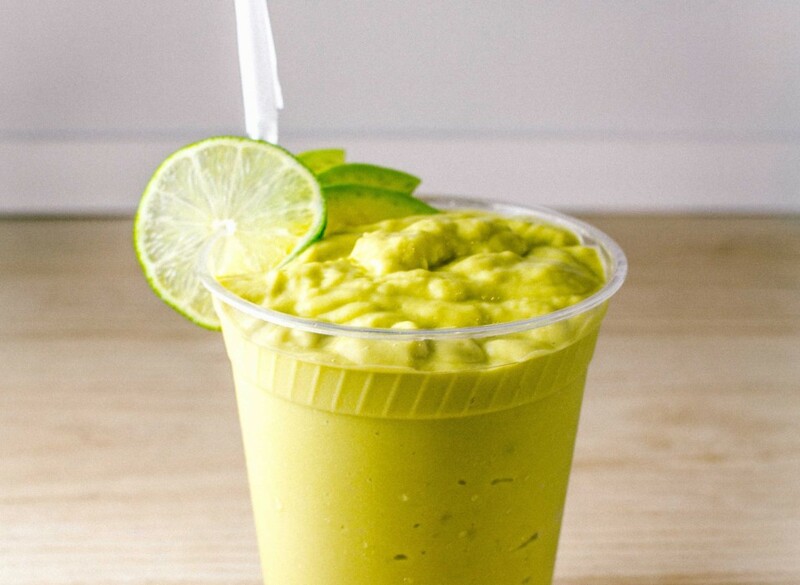 That place is called Avocaderia, and it’s every bit as magical and delicious as you’d think. While avocado toast might be considered overrated to some, we’re just beginning our romance, thanks to this all-avocado spot. Situated in Industry City, which is comprised of a cluster of restaurants and shops in Brooklyn, Avocaderia sits far away from all the hubbub and makes the avocado-obsessed come to it, instead. And believe me when I say people are coming in droves from their familiar sanctuaries in Manhattan to find some BK sanctuary in the small shop. My guest and I arrived in the middle of a gorgeous Saturday, ready to fuel our bodies with all the good fats. Like other restaurants in the Industry City complex, Avocaderia stands proudly in its own little corner, complete with a counter, lots of greenery including behind-the-counter wall plants and a neon sign that reads “Smashed in NYC.” The menu is pegged to a board along a side wall and music is playing from an independent speaker on a wooden shelving unit. We were greeted by the team at the counter, who were chopping up fresh avocados as we took a look at the menu. The menu, by the way, is fairly compartmentalized and super easy to understand. For the most part, they’ve got toasts, smoothies, salads, “featured” items and a number of beverages. We decided to try an item from each category to hit all the spots. First up, we ordered the “Chill Out” avocado toast ($6.95), which is made with multigrain bread, avocado mash, chili flakes and Japanese shichimi, and the vanilla almond smoothie ($8.95), which includes avocado, banana, dates, almond milk, vanilla, agave and almonds. 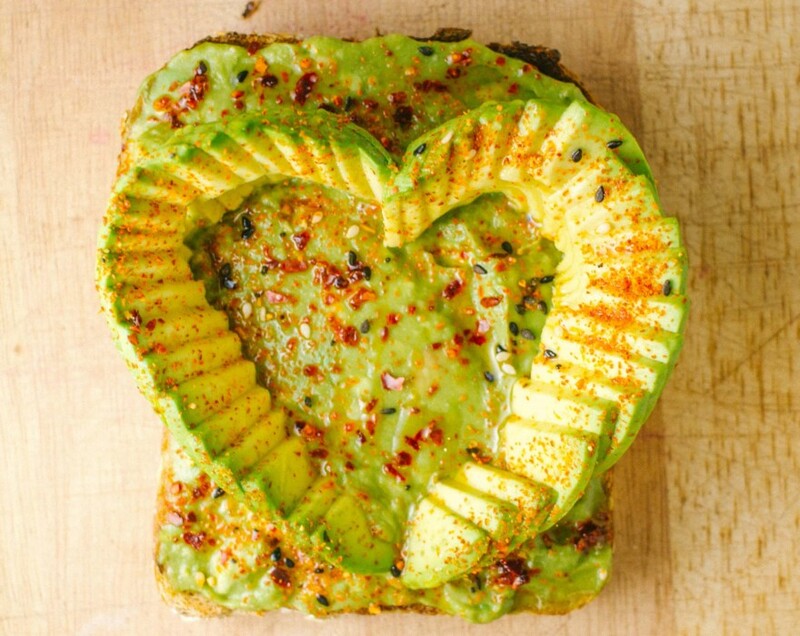 The toast was thick and sturdy, so it was able to hold the weight of the massive amount of avo, and it was spiced minimally, which gave the avocado room to speak for itself. The shake had a luscious texture and an addictive vanilla taste, but it wasn’t too sweet. Next up: the Greek Island salad ($10.95), the avo chocolate mousse ($6.95) and the organic housemade lemonade ($3.25) to wash everything down. 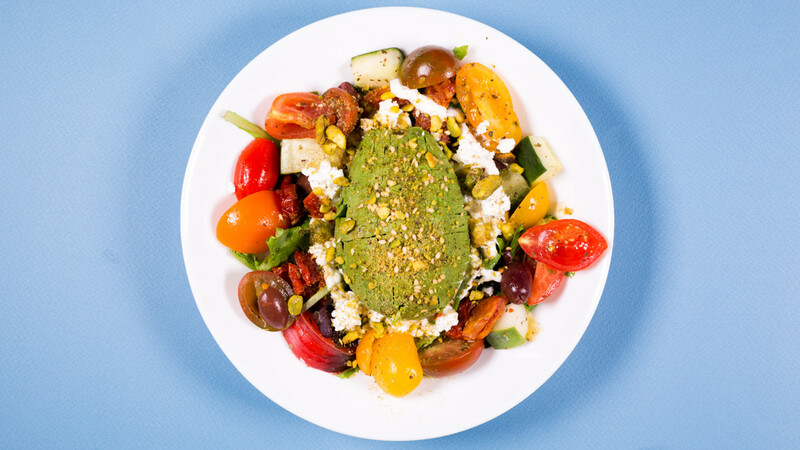 The salad, which includes mixed greens, avo cubes, cherry and sun-dried tomatoes, cucumber, feta, yogurt and herbs, olives and pistachio dukkah, was packed with yummy ingredients and nutrients, so much so that we couldn’t even finish it between the two of us. The lemonade was tart and refreshing, and you guys…the avo chocolate mousse was absolutely the winner on the menu. Imagine a dark, rich, creamy mousse, but imagine an even creamier version because of the avocado, and that’s what you get. We scraped. The. Whole. Container. Dry. Overall, Avocaderia delivers exactly what it promises: a range of delicious dishes that highlights the creaminess and nutrients of avocado. If we catch anyone saying avocado toast is overrated again, we’ll send them directly to Industry City. We guarantee they’ll come back with nothing but avos in their eyes…and in their stomachs.